Session 1 lays the foundation for the other eight sessions to come. 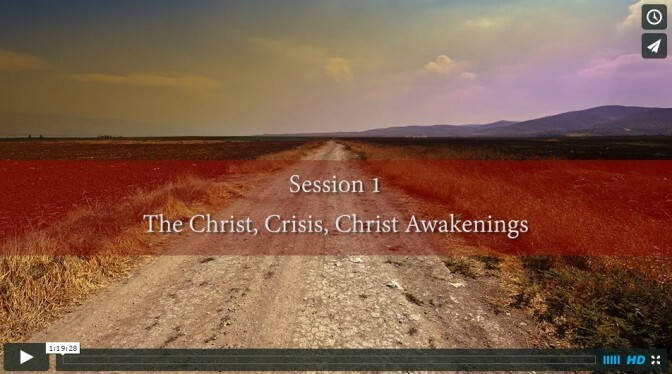 During this teaching, David Bryant introduces participants to what the “supremacy of Christ” actually means and how that relates to everything going on around us today. He also uncovers what many believe to be the greatest crisis facing the Church today – the sobering shortfall among multitudes of Christians in their vision for the greatness and glory, the majesty and reign of God’s Son right now. It is a crisis about Christ himself. Yet, there is hope. With the third theme of this session, David highlights an impending work of the Spirit in our generation using God’s Word to reintroduce God’s people to God’s Son for ALL he is. The prospects of a “Christ Awakening” leave participants with great expectations for what the Father is getting ready to do. All three themes are revisited in greater detail throughout the next eight sessions. You can watch the entire session by pressing play on the video above or you can view shorter segments from the session by clicking on the questions below. In addition, you can access videos by clicking on the right. Download the PowerPoint slides for this session by clicking here. How will The Christ Institutes facilitate my Journey? What does the supremacy of Christ really involve? Why is Christ’s supremacy beyond his centrality? What is the monumental crisis about Christ we face today? How will God fix this crisis in the Church and in my life? Spend a minute in silence, reflecting on today’s teaching. What was the most meaningful part for you? How did it speak to you? In what ways did today's teaching video help you see and think about God's Son in newer or fresher or larger terms? In what ways did today's teaching video give you greater reasons to put your hope in Christ alone -- for your life, for your church, for your generation? As well as for eternity? What one next step should today's teaching encourage you to take in your daily walk with our supreme King, the Lord Jesus Christ? What is one insight about the glory of Christ you gained today that you would like to share with one other believer before the day is over, in order to help that person gain a little bit larger vision of the greatness of Christ, too? If you were standing before Jesus on his throne right now, based on today's teaching what one thing would you like to say to the Father to express to him your praise and gratitude for who his Son is right now? What would you like ask the Father to do in your life by his Spirit that would deepen some facet of your relationship to his glorious Son? Download the Participant Guide for individuals or groups using The Christ Institutes Series.